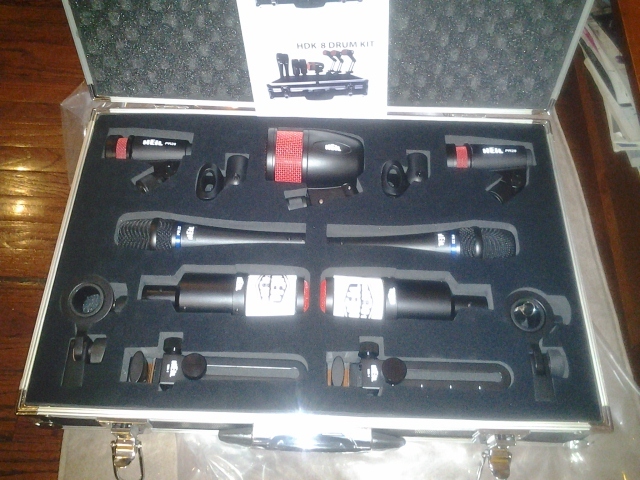 our Heil endorsement finally came through and we are proud owners of an HDK7 drum microphone kit, pictured below! We also got an Alan Smart C2, which is probably gonna park it self on the master inserts forever and ever and ever. Last but not least, a Summit audio MPC-100A “happened” to fall in our hands. Ain’t that weird?! Did i mention the BAC500? the second AT3525?